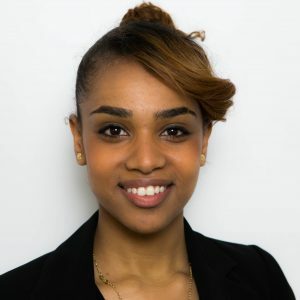 Yohana is a Staff Associate at IRI, she has a masters degree in Biotechnology from Columbia University, she has been at IRI since 2015 conducting ENSO relations with malaria in Tanzania. Then went on to take interest in the IRI Data Library and ENACTS. She has conducted training for different met Office members (including: Tanzania, Rwanda, Uganda, Ethiopia, Malawi and Kenya) on how to utilize the IRI Data Library as well as various stakeholders on how to use the ENACTS Maprooms. Yohana is interested in the development of various informative tools to helping agricultural stakeholders in their decision making processes. Her role at IRI now includes coordinating the technology development team in the data collection as well as the development of various tools as part of the FIST team.